Introducing my babies to the extraordinary world of solid food was one of my favourite moments of their first year. 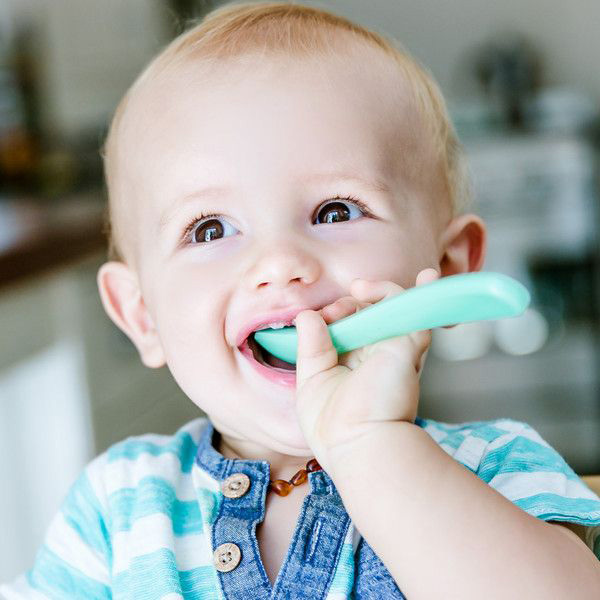 Kit out your kitchen arsenal with a few basics and a few indulgent extras for fun, and you’re all set to introduce your little one to solid foods. Here are our favourite finds for embarking on this fun milestone! First things first, you’re going to want to protect your bub’s clothes from the inevitable mess that’s about to occur. 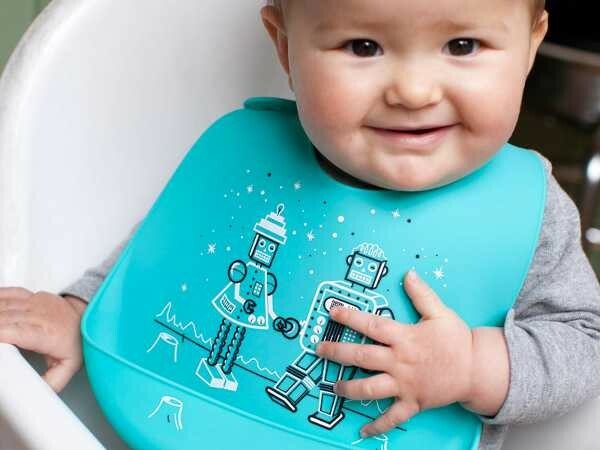 The Modern Twist Bucket Bib is excellent in so many ways – it’s waterproof, it’s easy to get on and off and it’s easy to clean – there’s no dealing with is it easier to wash wet Weetbix or dry crusty Weetbix, just scoop it out, give it a scrub and you’re done. 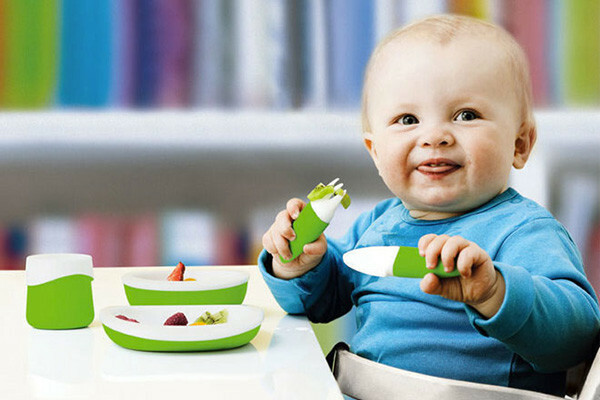 Not all spoons are created equal, Spuni baby spoons make for a smooth transition thanks to their clever ergonomic design. Bonus is they come in a very handy plastic case, excellent for tossing in the nappy bag. 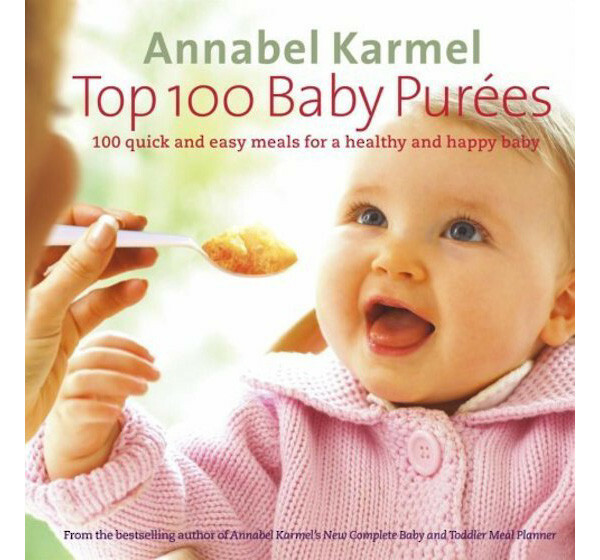 If you’re ready to take on a bit of explorative cooking once your little one has mastered the basics, we definitely recommend Annabel Karmel’s Top 100 Baby Purees for major inspiration, gorgeous pics and easy recipes. A worthy addition to your cookbook collection! From time to time everyone needs a hand in the kitchen and what better way to have that is there than a bit of kitchen wizardry? 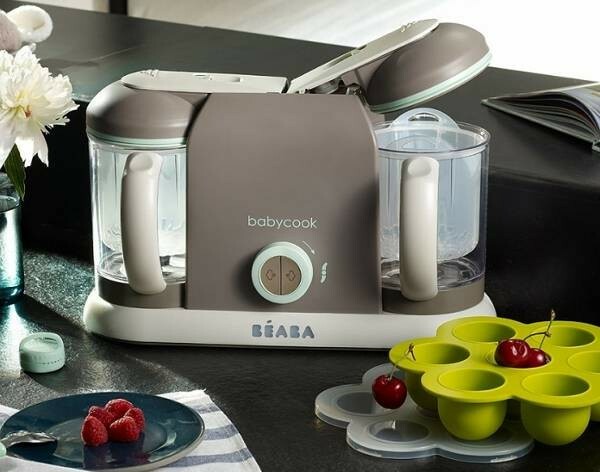 Béaba Babycook Solo and Duo machines can do the cooking for you, single handed even. 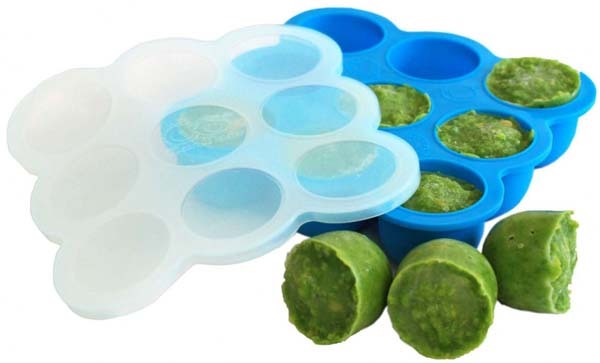 How you store your purees is crucial – freeze them straight away to keep them super fresh. 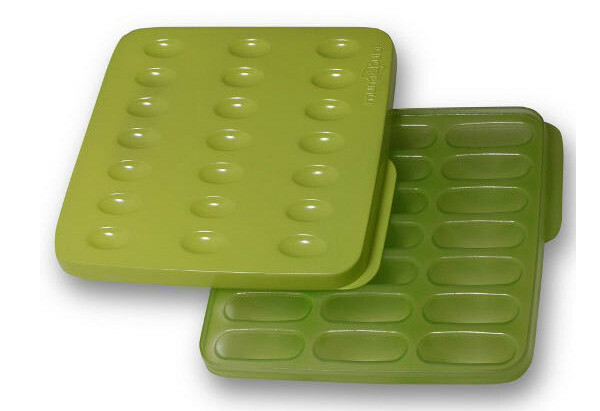 Mumi and Bubi offer an awesome starter pack that is great for blending puree flavours during early days – each tray groove holds two tablespoons of puree. Alternatively, if your bub is easy on the tooth, you can store up to 75ml in every pod in the awesome Wean Meister Freezer Pods. If you’re heading out or going away for a couple of days, a great way to keep up with your homemade purees is by taking them with you. 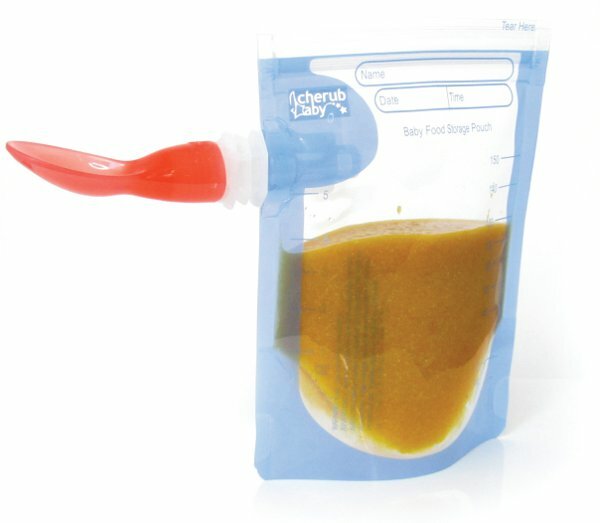 Cherub Baby provide reusable pouches (complete with spoons!) to make food on the go relatively fuss free – a great tip is to have a few in the freezer already prepared in case you need to grab and go in a hurry! Sooner or later your beautiful baby is going to want to try to feed himself. And by feed himself I mean squish his MasterChef gourmet styled dish between his fingers and through his hair and you’re going to want to invest in a bowl or plate with a suctioned base because the throwing everything on the floor game gets real old, real quick. We especially loved the super cute design of the Adi Plate, because yes, penguins make peas yummier. Always keen to mimic their family members, handling their cutlery isn’t far away. When given the right sized tools, you might well be surprised just how quickly they pick up these independent skills. 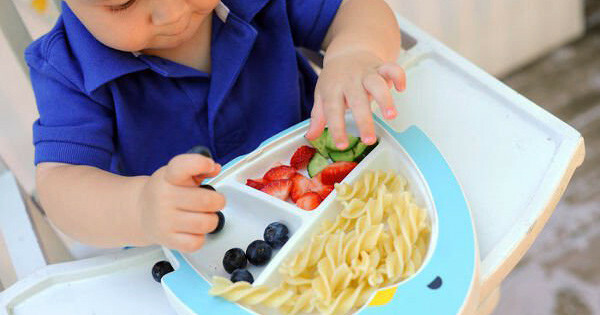 Toddler Table cutlery is perfectly chubby for little hands to grip, poke and scoop with. Another serious couple of contender for the cookbook rack once the basics are mastered is the stunning Baby Pip Eats (which includes lots of handy real-life hints) and Food Babies Love. You and your precious munching bundle couldn’t ever be bored in the kitchen with this much inspiration!